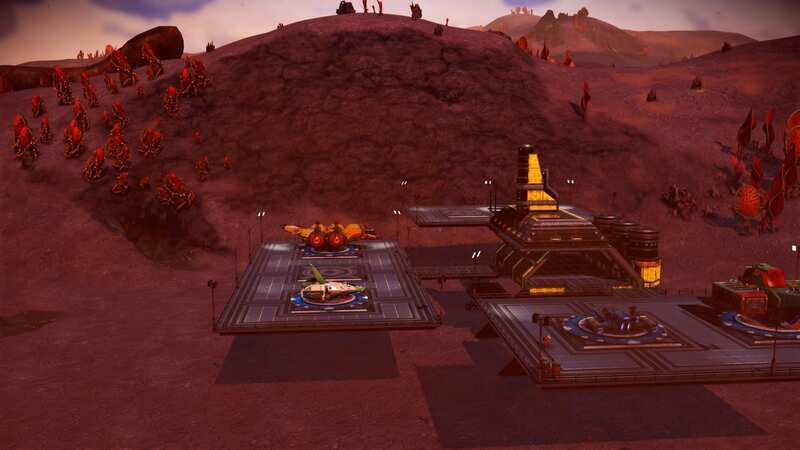 Base Description This is a beautiful system in creative mode. 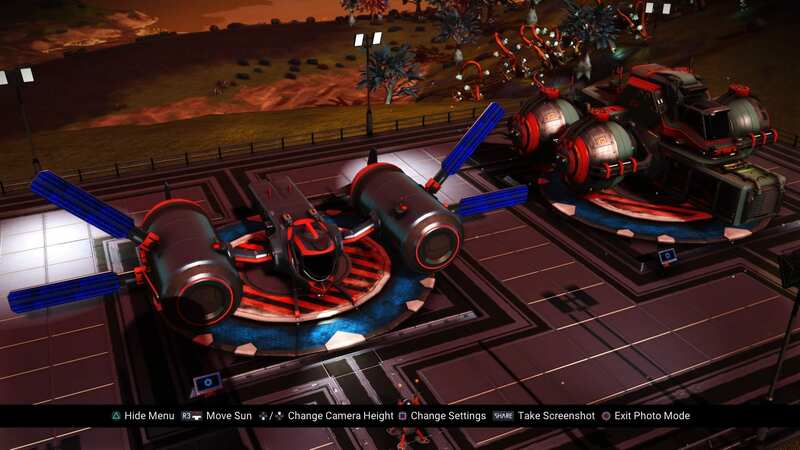 Blood Moon, in the shadow of a massive wind swept planet and with 2 earth like planets in the distance, has the best view. 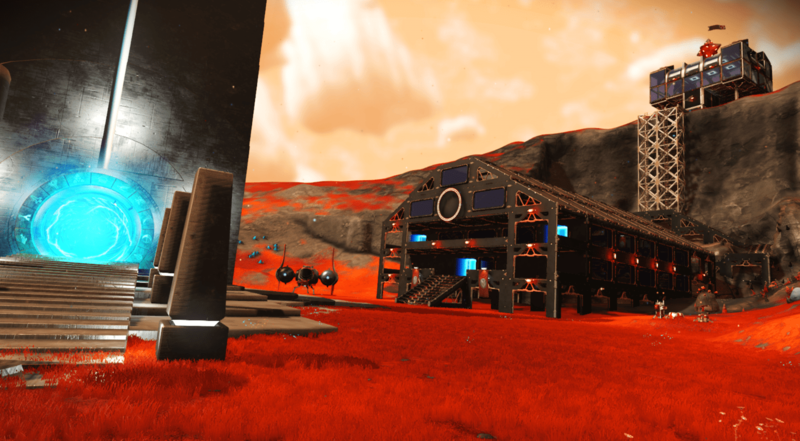 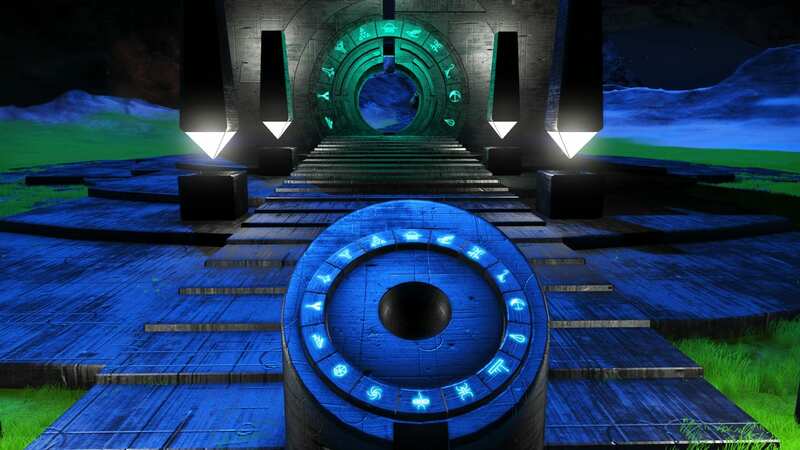 I've built multiple structures, and instead of describing i will let you do the exploring. 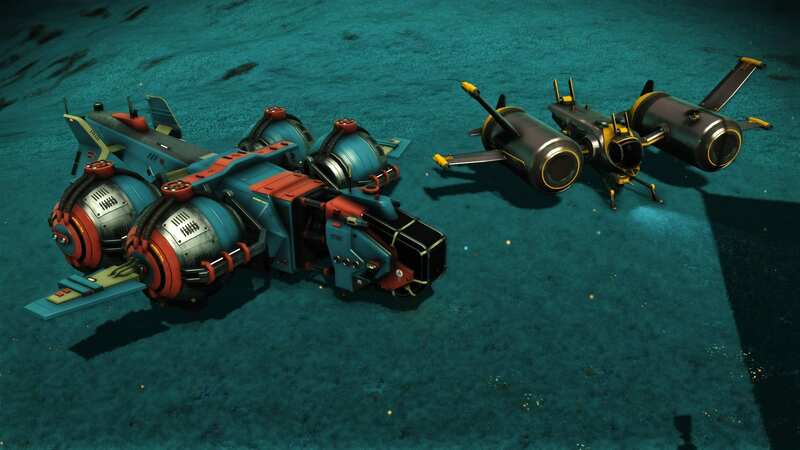 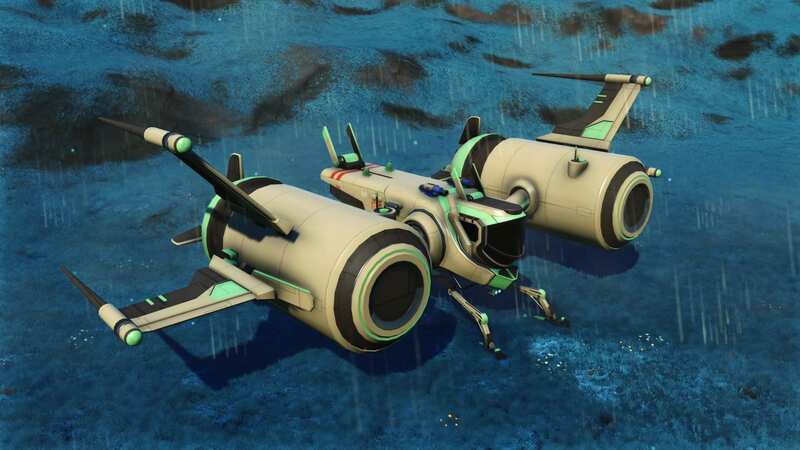 Here you will also find s class explorers and a watermelon colored experimental multi tool.